Frieda Loves Bread: BBA Sourdough Bread! There are 43 breads in the Bread Baker's Apprentice, written by Peter Reinhart. Almost, ahem, two years ago, Nicole from Pinch My Salt created the BBA Challenge in which a group of people were invited to purchase the book and bake a loaf of bread from it each week. A few people have finished the challenge and others (like me) are still plugging along. Through our successes and yes, failures, we each have shared and learned so much about the basics of making, shaping, and baking bread. 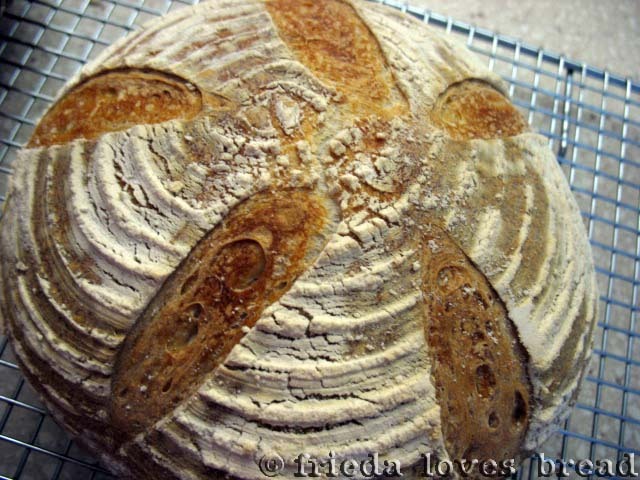 Sourdough is the 30th bread in this challenge. While most people have opted to make these breads in the listed order, others have opted to skip around, making breads that appeal to them. Some, (like me) have skipped the breads that call for fruit: Christopsomos, Lambropsomo, Panettone, and Stollen. The group is still going and members can join anytime. All you need is the book and a love of bread. There is comfort in knowing others have gone on before me and can call on them via email, Twitter (#bbac), or FaceBook for questions and answers! My humble starter is now a 1 1/2 months old. Still a baby, but it has produced what I would call a successful loaf of bread! I took my 1:1:1 starter and added unbleached all purpose flour and distilled water according to P. Reinhart's Basic Sourdough recipe and mixed it up. It was a really thick, sticky mass. I put it into a lightly oiled Ziploc container with a piece of tape and a line to mark the original level. My kitchen is a little cold, so I put it in the oven with the light on. Whoops ~ I think it has more than doubled! This now goes into the fridge over night. The next day, about 4 hours before you plan to make the bread, it is taken out. The dough slides out easily. The dough is then cut into about 8-10 pieces, sprayed with a mist of oil, and covered for an hour, to take off the chill. I can't believe how sticky it is! 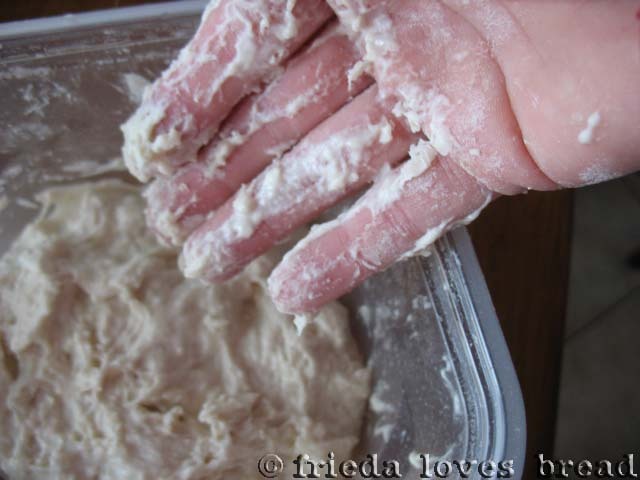 To make the dough, the starter pieces, water and flour are added along with salt until the dough is the consistency of french bread. French bread? I made that over a year ago....I can't remember what the consistency was like! Oh well. Firm, tacky, but not sticky. 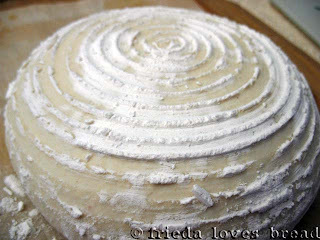 The dough is covered and put to rest for about four hours. I divided it into two pieces, shaped one into a batard, and the other into a boule, or a ball. I ordered these bannetons from CSN Stores. I'm an online shopping newbie and was a little confused with the checkout process, so I called their 1-800 number. I spoke to a real live person, who helped me tremendously. She was so nice and did my order over the phone. Less than two weeks later, my bannetons arrived! I was thrilled! 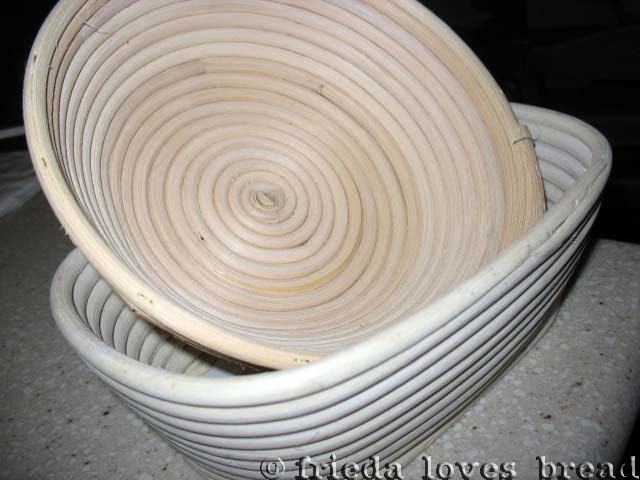 Bannetons are not neccessary in making these breads, but they leave a pretty design. You can always improvise by misting a stainless steel or glass bowl with spray oil, lining it with a cloth napkin (no terry cloth! ), misting it with oil and lightly dusting it with flour. The dough is put seam side up in the bannetons, tops are misted with oil and covered with plastic. I put the entire banneton inside a plastic bread bag and set them in my garage overnight to proof, as it was at least 40 degrees or colder. I wanted a more sour taste and an overnight proofing in the basket would do the job. Four hours prior to baking, the dough filled bannetons are brought into the house to warm up. The oven is readied with a baking stone, temperature at 500°F, and an old 9x13 baking pan in the bottom to hold water for steam. Ten minutes before baking, the dough is turned out onto a peel. I think I had a little too much flour, but that's okay! The dough is scored, put directly onto the hot stone in the oven with a cup of hot water poured into the pan in the bottom of the oven for steam. 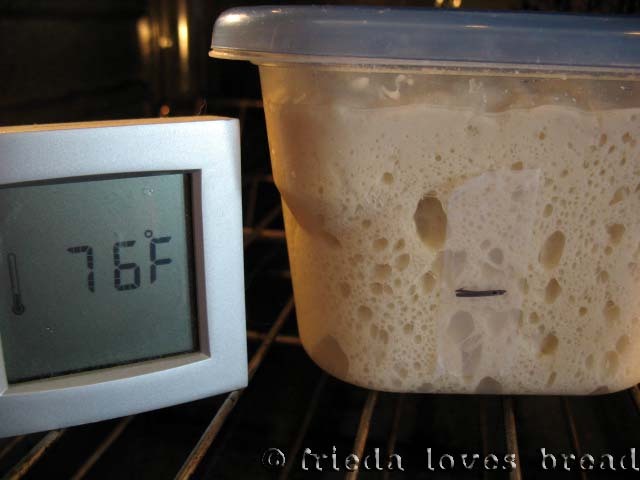 After 30 seconds, the dough is spritzed with water from a spray bottle. This process of spritzing is repeated two more times with 30 second intervals. 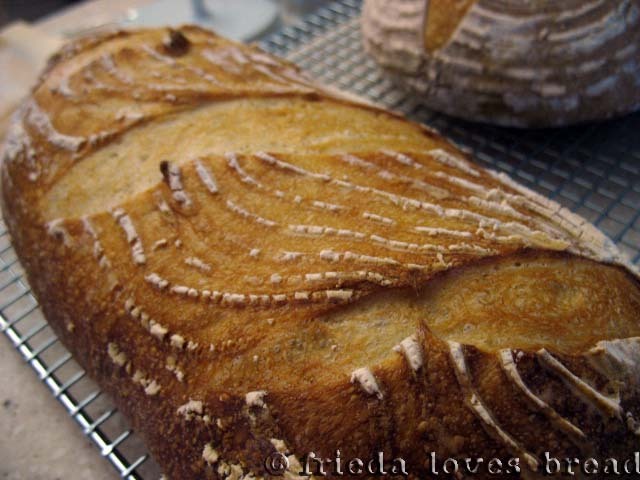 The oven temperature is brought down to 450°F and the loaf is cooked for 20 minutes. Not too bad, huh? Kind of looks like a sand dollar, doesn't it? The bread needs to cool for at least 45 minutes, otherwise, the crumb will be a little gummy. Gotta wait! Tentatively, I cut open the end...I am pleasantly surprised! There are many irregular holes, which look so great! O.k. Now I need to taste it. 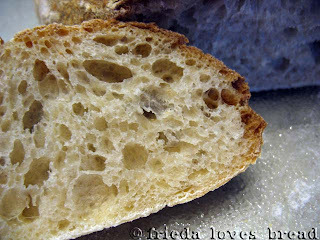 Crispy exterior, soft, creamy interior, with just a little chew....oh...there are the sourdough notes! I could definitely taste the sourdough, though there is not the bite that a San Francisco sourdough has. This is good enough for me! 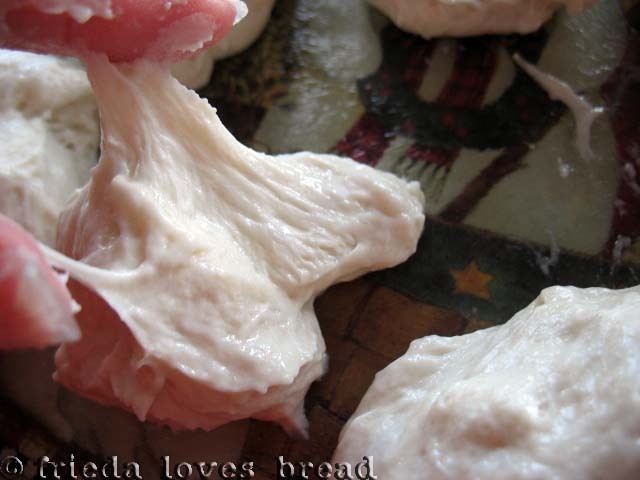 This is a bread that I will definitely make again! Your bread has a wonderful crumb. 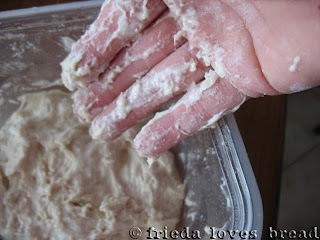 I have been baking no-knead HBin Five Artisan bread for awhile and have abandoned my old methods. How do you like this bread compared to HBinFive, or have you tried it? I absolutely love your blog. My name is Alynn and my blog is entitled meals4moms. In April I am doing bread month. 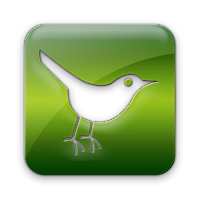 I would love to feature you on my blog during that month. 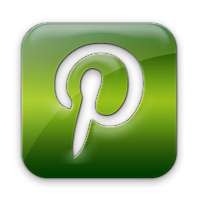 If that is OK could you send me a picture that you would like to use alon with your url. Thanks so much. 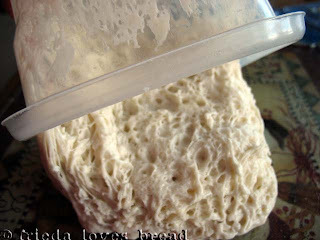 Bonnie, I have looked at the AB5 and did not try it, as I don't have that much room in my fridge to store a lot of dough. I have heard many wonderful things about it ~ I'll have to give it a try for comparison soon! Frieda....absolutely perfect. Picture perfect in fact. Just a lovely loaf of bread! It's been so long since I've made a BBA bread that I kind of forget where I am. Somewhere in the sourdough pumpernickel/rye section I think. Great crumb, Frieda! I have a really hard time reproducing that myself. I love the ribs in the bread too. I really need to get some of those so I can reproduce that look!